To be more realistic, delete ‘struggles’ and insert ‘fails totally’. The bottom line is that part-time unpredictable electricity supplies are of strictly limited use to modern industrial economies dependent on continuous and adequate – preferably affordable – power for their survival and prosperity. Granted, lignite is not a great choice of fuel but something has to be used to keep the show on the road 24/7. Coal showdown reflects government’s floundering shift to renewable power, says The Global Warming Policy Forum (GWPF). Not far from Germany’s Rhine River, a fight to thwart giant excavators from grinding away what’s left of the 1,200-year-old Hambach forest came to a head this month as thousands of protesters faced off with police in a tense, and at times violent, showdown. Activists formed a human shield by occupying dozens of self-made tree houses, set up barricades in the woods and threw stones and even Molotov cocktails toward police. 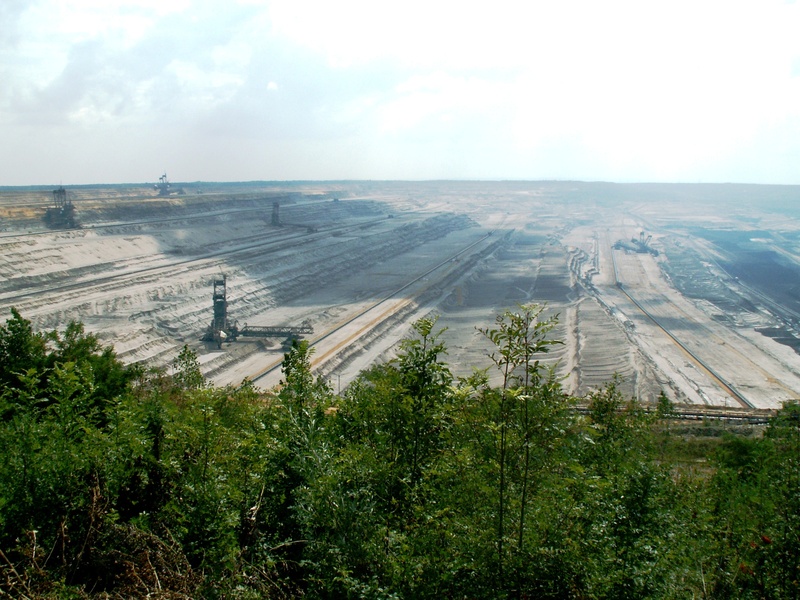 The standoff revolves around utility RWE AG’s plans to extend a giant open-pit mine to dig up lignite — a soggy form of coal — for burning in local power plants in a short-term fix for Germany’s energy needs. The conflict represents another challenge for Germany’s political establishment as it pits the country’s economic interests against goals of becoming an environmental leader in a 500 billion-euro ($590 billion) shift to renewable power. Those competing agendas are now colliding in and around Hambach — a district known as Rhein-Erft-Kreis — where concerns range from lost jobs and soaring electricity prices to the incessant hum of wind turbines and “electrosmog” from new power lines. How many trees in the Hambach forest were 1200 years old?, or is the forest only 1200 years old since reforestation after the demise of the Roman / Holy Roman empire. Yes, that 1200 yr old forest…….. Surely ANYTHING that sort of age should be “kept” … Hells bells – in the UK we keep piles of stones known as castle ruins… But is the forest there, just an AREA of dynamic forestry, or what ? Who cared about the ancient lands when WAR broke out? Wasn’t this Protest Treetop Campsite, the site of a Protester dying from falling from the tree ? What’s it all about ? ……… Politico-elite – kick them all out N O W ! The forest is one of the oldest left in Europe. But only 10% of the original forest is left and RWE says it has legal power to take it over for surface mining of lignite, as an extension of its existing operation. Scrapping nuclear power has left Germany short of options. Switching to gas makes coal workers redundant which is a no-no in the coalition. Heavy industry and everything else needs reliable continuous power obviously. Andrea Nahles, the leader of Germany’s Social Democrats (SPD) on Tuesday said that the government commission on phasing out coal should not set a date prematurely for the end of coal-fired power generation in Germany. At the Day of German Industry in Berlin, Nahles said a coal exit date is impossible without security of supply, competitive electricity prices and future perspectives for the affected regions. These priorities must be adhered to by the Commission. Climate protection and the interests of industry and workers need to be reconciled. Until they stop deluding themselves about unachievable ‘climate protection’, they’re going to go round in circles and get nowhere.